UPDATE (Feb. 19): Black Panther’s U.S. box office for Friday-Sunday ended up at $201 million, Exhibitors Relations said on Twitter. It may also be a sign of Marvel’s future. Black Panther’s estimated Friday-Sunday U.S. box office is $192 million, according to Box Office Mojo. Marvel’s The Avengers (2012): $207.4 million. Avengers: Age of Ultron (2015): $191.3 million. Captain America: Civil War (2016): $179.1 million. Iron Man 3 (2013): $174.1 million. Of the Marvel top five, Black Panther (starring Chadwick Boseman) is the only one not to include Robert Downey Jr. playing Tony Stark/Iron Man. 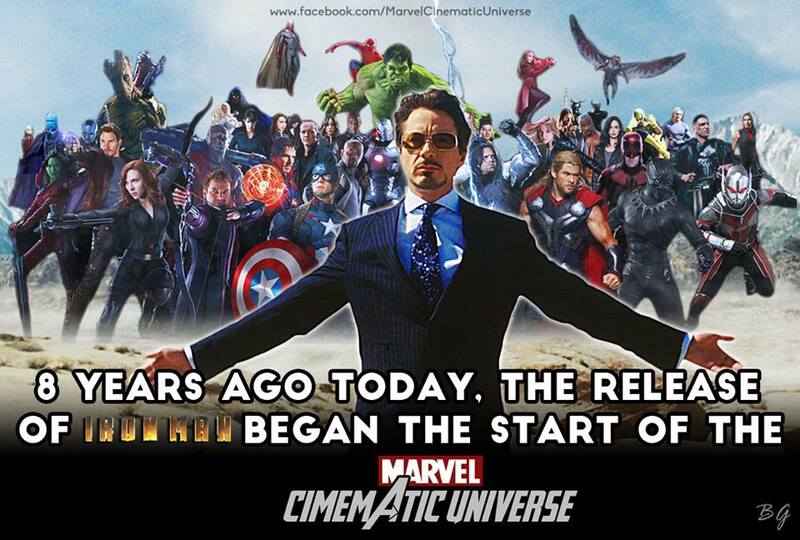 It was 2008’s Iron Man where Marvel began making its own films, instead of licensing the rights to others. The movie became the building block upon which Marvel built is movie universe. Four years later, with Marvel’s The Avengers, the notion of a “shared universe” became big business. Some have wondered whether Marvel could withstand Downey’s eventual departure. The actor turns 53 in April and it’s not the kind of thing you can keep doing forever. Other major Marvel actors such as Chris Evans (Captain America) and Chris Hemsworth (Thor) have reached the end of their contracts. What’s more, the upcoming Avengers: Infinity War and an unnamed Avengers film in 2019 is intended as a kind of finale for Marvel films up to now. So, a decade after its first movie, Marvel Studios has reached a transition point. Black Panther already is a popular and critical (a 97 percent “fresh” score on the Rotten Tomatoes website) success. Beyond that, Black Panther shows that Marvel is capable of extending itself beyond its first decade of making movies. Black Panther seems destined to join Marvel’s billion-dollar club (it’s at $361 million globally as of this weekend). The movie also is broadening Marvel’s appeal. We’ll see what happens. Could Supeman (at present deceased) lighten up in future movie appearances? Studios and production companies rarely admit to misfires (see the James Bond film series for examples). But Warner Bros. and its DC Entertainment unit appear to be doing just that. The Wall Street Journal, in a STORY POSTED THURSDAY, quoted Jeff Johns, a comic book writer who will have a lot of say over future DC Comics-based superhero movies. All of this is happening after a very mixed year for Warner Bros. and DC Entertainment. 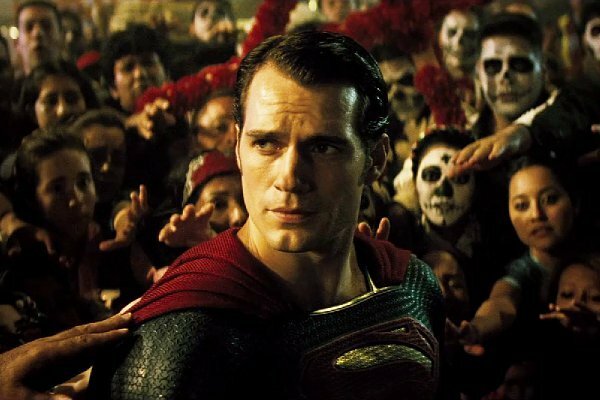 The good news: Two of the studios movies, Batman v Superman: Dawn of Justice and Suicide Squad, had big box office in 2016. Bad news: Both movies fell off quickly after their opening weekends. What’s more, Warner Bros. still trails rival Marvel Studios, part of Walt Disney Co. Marvel’s Captain America: Civil War generated worldwide box office of $1.15 billion, better than either Warner Bros./DC Entertainment entry. Other studios would kill for the box office of the two DC-based movies. But those movies were also very expensive. Batman v Superman, going into 2016, seemed a lock to be a billion-dollar movie but fell well short — despite featuring the two Big Dogs of the DC Comics universe. “Justice League” will also directly address Batman’s extreme actions in the last movie (Batman v Superman), such as torturing criminals and nearly killing the man of steel, rather than accept them as par for the course. And it’s expected to have fewer of Mr. (director Zack) Snyder’s controversial flourishes, like the dream sequences in “Batman v Superman,” in favor of focusing more tightly on the plot, people close to the picture said. Needless to say, it remains to be seen how this turns out. However, it’s clear that Marvel v DC: Battle for Supremacy, fought for decades in comic books, has moved to films. With no actual James Bond news to report, we take another look, via statistics, at the family model (Eon) vs. the corporate model (Marvel). Eon: Daniel Craig, four (4), Casino Royale, Quantum of Solace, Skyfall, SPECTRE. Note: You could say five (5) if you count this 2011 public service announcement for International Women’s Day produced by Barbara Broccoli, co-boss of Eon Productions. Update: The James Bond Dossier asks whether we should up the count to six (6) by including Craig’s appearance in the opening ceremonies of the 2012 Summer Olympics. That was part of a television show. That was also similar to how Roger Moore played James Bond in a 1964 variety show, years before he became the actual film Bond. Doing that would raise Sir Roger’s 007 count to eight (8). Though the Spy Commander knows some Bond fans (who really, really don’t like Moore in the role) who’d argue it should be zero (0). Meanwhile, the organizers of the 2011 public service announcement said their spot said was “the first film featuring Bond to be directed by a woman.” (Sam Taylor-Wood). Is a commercial considered a “film”? Details, details. Marvel: Robert Downey Jr., seven (7): Iron Man, The Incredible Hulk (cameo), Iron Man II, Marvel’s The Avengers, Iron Man Three, Avengers: Age of Ultron, Captain America: Civil War. 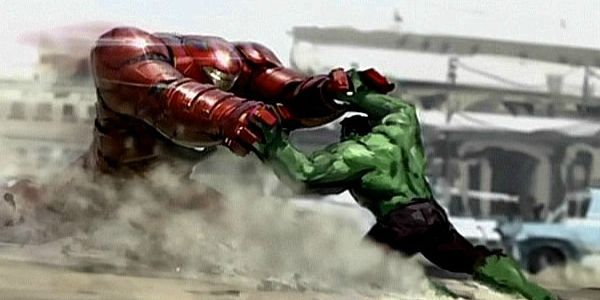 Biggest box office movie: Marvel’s The Avengers (2012), $1.5 billion (worldwide); Skyfall (2012), $1.11 billion (worldwide). Next movie to be released in theaters: Dr. Strange (Marvel), Nov. 4, 2016 (U.S. and Canada). Film Stars Don’t Die in Liverpool (Eon), 2017. Bond 25 (Eon), who knows? Trivia: Bond 22, aka Quantum of Solace, was originally scheduled to be released on May 2, 2008, in the U.S. and Canada. After that movie was delayed to November, Iron Man got the May 2 release date. Cap: Civil War has 2016’s biggest movie opening in U.S.
UPDATE (May 9, 2016): The movie’s actual weekend box office was revised on Monday to $179.1 million. Captain America: Civil War is posting the biggest weekend opening in the U.S. and Canada, with an estimated $181.8 million, according to Box Office Mojo. The movie, which kicks off “Phase III” for Marvel Studios movies, has enjoyed favorable reviews, with a 91 percent “fresh” rating on the Rotten Tomatoes website. While officially the third Captain America movie since 2011, Civil War concerns a rift among members of the Avengers, Marvel’s group of super heroes, whether they should submit to international oversight of their activities. The movie also marked the introduction of the newest version of Spider-Man, who this time will be part of Marvel’s film universe. Future Spider-Man solo films will continue to be released by Sony Pictures. Other major U.S.-Canada openings this year include Batman v Superman: Dawn of Justice ($166 million), Deadpool ($132.4 million) The Jungle Book ($103.3 million) and Zootopia ($75 million). Civil War, while being a de facto Avengers film, didn’t match the U.S. openings of either 2012’s Marvel’s The Avengers ($207.4 million) or 2015’s Avengers: Age of Ultron ($191.3 million). No real spoilers, but your mileage may vary. To use a James Bond reference, imagine a movie that had both the sprawling spectacle of You Only Live Twice, the movie, plus the personal elements of Ian Fleming’s You Only Live Twice novel. That’s what you get with Captain America: Civil War. –More or less standard super heroics with serious undertones. –Expansion to a spectacle phase, fueled by the introduction of Spider-Man into the proceedings. –A surprisingly personal climax, which ties up plot threads dating back to when Marvel started producing its own movies eight years ago. With You Only Live Twice, there has been a half-century fan debate whether Fleming’s 1964 novel could actually be filmed versus a disappointment of fans of the novel there wasn’t an actual attempt. Civil War walks a similar tightrope with style. Marvel is drawing upon multiple stories (but especially a 2006-2007 story line that crossed over various titles), rather than a single novel. So perhaps it’s not the fairest comparison. As it turns out, Civil War launches Phase III into new territory. 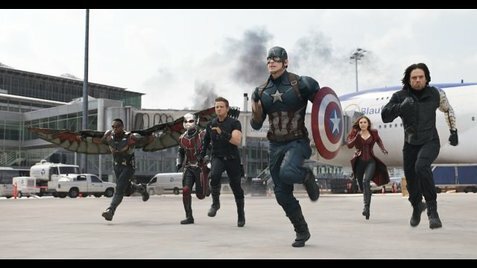 Civil War has the equivalent of two 007 pre-title sequences, one a short period piece, the other a more elaborate one set in the present day. In the latter, there have been some collateral casualties, spurring a move among United Nations members to rein in the Avengers, the team led by Cap (Chris Evans). Iron Man (Robert Downey Jr.) is in favor but Cap isn’t convinced. So far, so good. 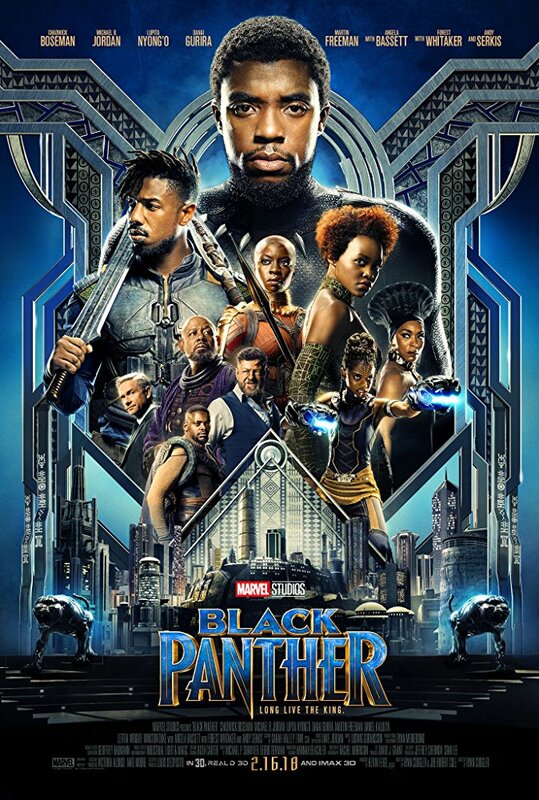 Along the way, the audience meets a new character, T’Challa, the Black Panther, who becomes the ruler of the advanced African nation of Wakanda after his father his killed during a terrorist attack during a U.N. ceremony. As a result, a big conflict breaks out, with the two heroes recruiting allies. It’s here where the latest Spider-Man (Tom Holland) makes an appearance and he immediately ramps things up. The scene where Tony Stark recruits a teenage Peter Parker is one of the highlights of the film. The major fight, as impressive as it is, only sets up the climax, where we get into intense personal conflict (albeit with super heroics) delivered with a wallop. One criticism of the movie (from Los Angeles Times and NPR reviewer Kenneth Turan) is that it’s harder for viewers who aren’t hard-core Marvel fans to get up to speed. Perhaps so. Still, the Russo brothers get the audience’s attention from the beginning. By the end of the two-and-a-half hour movie, Marvel fans will be especially pleased but there’s something for everyone. To again use a 007 reference, it’s like seeing Thunderball or You Only Live Twice (or later film) as your first James Bond film. It’s easy enough to get up to speed. One more thing: There are *two* scenes in the end titles. The first wraps up things from Civil War, the latter sets up a future Marvel production. The very last image of the end titles utilizes a page from the playbook of the early Bond films, something the 2011 Thor and Captain America movies did as well. Today, May 2, is the eighth anniversary of the release of Iron Man. Things haven’t been quite the same since. Originally, Quantum of Solace, the 22nd James Bond film, had that release date. That was always going to be ambitious, given that Casino Royale came out in the late fall of 2006. Eventually, Sony Pictures, Quantum’s distributor, decided it couldn’t be met. The 007 film would be released in the fall. Truth be told, given the issues Quantum had as it was, shooting for a May 2008 release likely would have made things worse. Nevertheless, that move opened up the May 2 slot for Iron Man, the first movie Marvel would produce itself instead of leasing characters to other studios. Marvel had an ambitious plan — starting a movie “universe” of connected characters. To make it work, though, Iron Man needed to be a hit. Marvel was taking a chance on star Robert Downey Jr., a talented actor, but one who had a history of personal problems. The gamble paid off. Iron Man was a hit. Walt Disney Co. later bought Marvel because of its movies and characters. Eight years later, Downey Jr. is still the biggest star in the Marvel movie universe. He’s a major presence in Captain America: Civil War, which makes its U.S. debut this week. Meanwhile, Civil War is the start of Marvel’s Phase III of films. Until Iron Man came out, nobody talked about “phases” of movies. Happy anniversary.